Info: The design of the Air Jordan 4 was a continuation from the previous Jordan 3 and was popularized by Spike Lee as 'Mars Blackmon'. 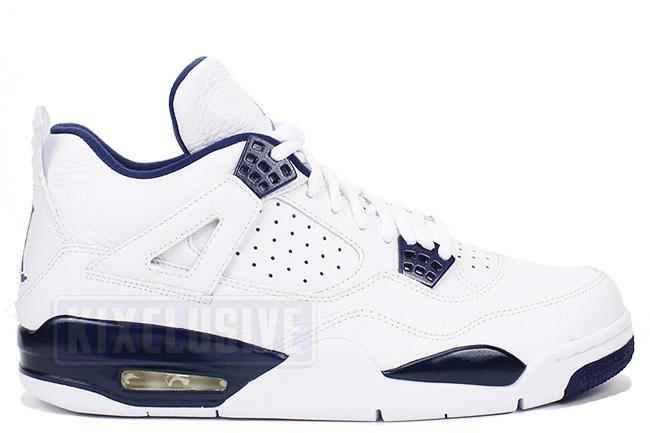 This release is the first time the midnight navy colorway has been seen since 1999. It is part of Jordan Brand's newly remastered collection to introduce higher quality materials and top notch craftsmanship. January 2015 limited release.